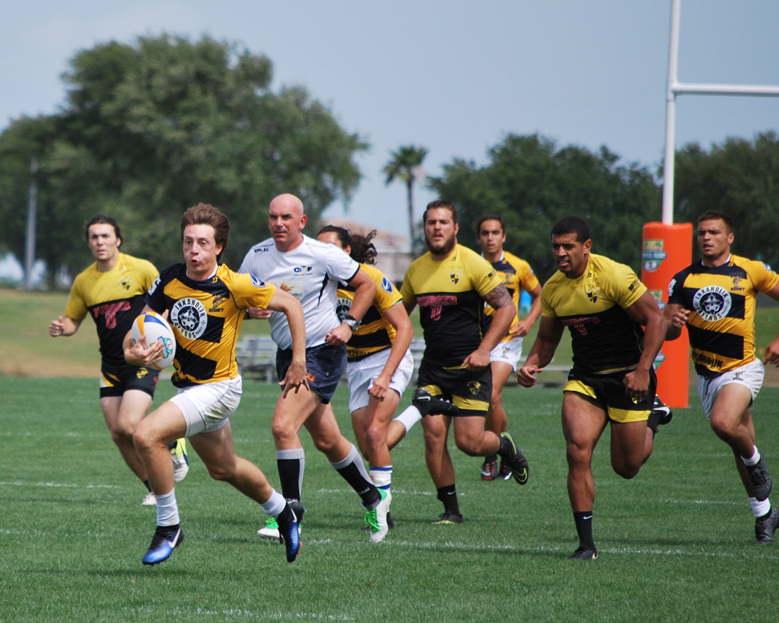 An exciting final day of competition for the 2017 Tropical 7s wrapped up under the sunshine of Orlando, Florida -- where teams from around the world competed to be champions across five divisions. This year's event is in the books and the winners have been determined. In the U18 Boys Championship game, English side Old Halesonians defeated Florida's A.R.E. United, 27-5. 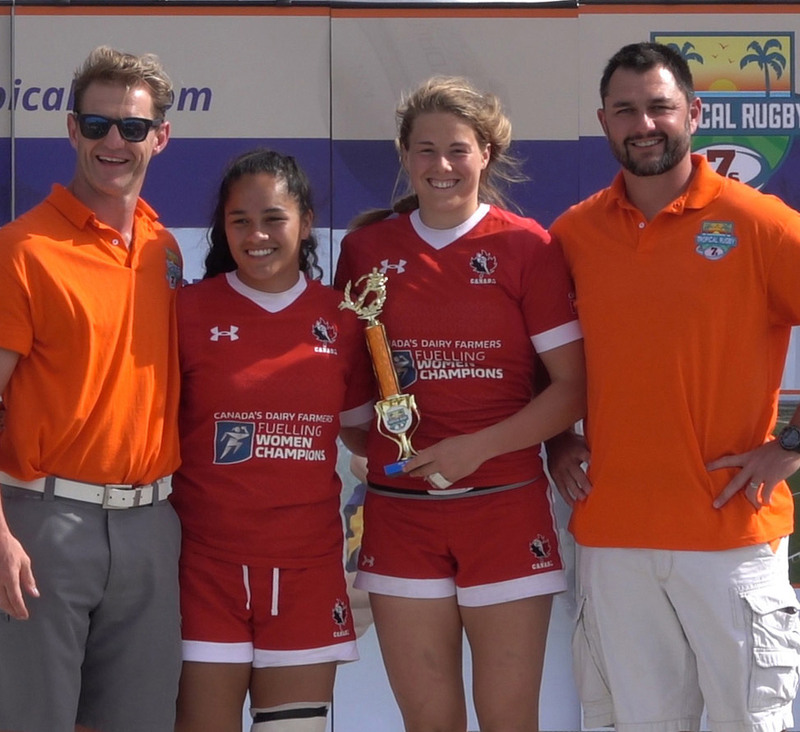 In the U18 Girls Division, Team Canada took on Team USA in a much anticipated final which saw the Maple Leafs securing the title in a closely fought-out game with a final score 12-17 (see photo with Canadian captains accepting trophy from Tropical 7s international coaches Thinus Delport and Rudi Keil). The Men’s University Division title was closely contested by Florida International University and University of Central Florida in a double-header final, which saw each team record a victory but FIU ran out as overall winners based on the overall aggregate score of 36-29 (see photo of action from the championship match). In the University Women's final, Florida International University beat University of Florida in the Championship match 19-15. The U16 Boys division saw Florida’s Jupiter Sharks come out as overall winners with Cape Pirates as Runner-up in a round-robin competition along with Mexico's Liceo Franco Mexicano. Congratulations to all our 2017 Winners and Runner-Ups! Dates for next year have already been set and the 2018 Tropical 7s will take place on 30-31 March 2018 -- again on Easter week at the beautiful Omni Championsgate resort.